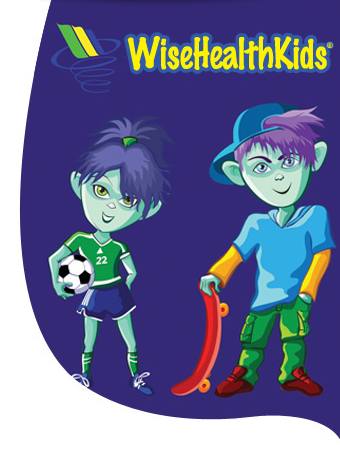 WiseHealthKids® is a unique children’s health web destination (www.WiseHealthKids.com) and a platform to directly address child wellness and the prevention of childhood obesity. This special site is designed to combine e-learning and entertainment to promote healthy choices in three categories: Eat, Play, and Live. The site is advertising-free, and includes high-quality educational and corporate partners to give parents a choice in quality entertainment-with-a-purpose. This patent-pending curriculum learning program is able to deliver customized content to each user as desired. While an online destination for health and wellness, many of the features promote challenges and activities offline in an effort to further movement, exercise, improved nutritional choices, community service, and family interaction. To learn more, download the WiseHealthKids® E-brochure.